“Why?”asks the confused waiter, as the panda makes towards the exit. 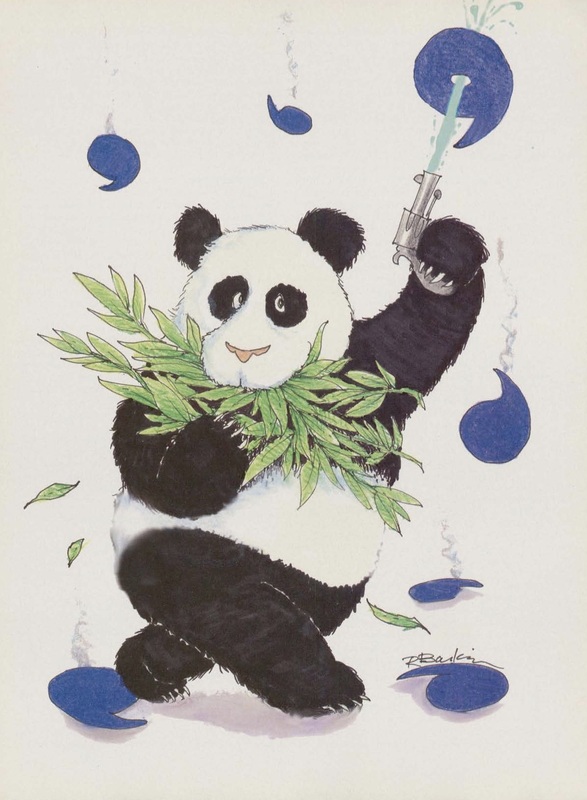 The panda produces a badly punctuated wildlife man ual and tosses it over his shoulder. Truss is the author of several books, a book reviewer for the Sunday Times of London, and she hosted “Cutting a Dash,” a BBC program on punctuation. In her 2003 Penguin book Eats, Shoots and Leaves: The Zero Tolerance Approach to Punctuation, Truss advocates for us all to be sticklers for grammar: click on eats to read a brief excerpt. 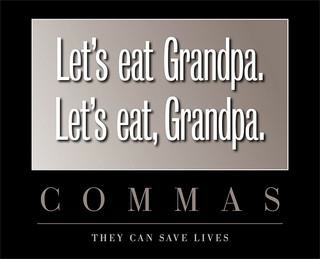 Punctuation is important for many reasons. It provides the musical score for your writing as well as specific, important and sometimes lifesaving information.